With famed beaches and a dramatic coastline, the wedding photos of your dreams await in stunning Negril. Plan your destination wedding in Negril! If wave-battered cliffs overlooking brightly-colored Caribbean waters don’t make for an epic wedding backdrop, then we don’t know what does. 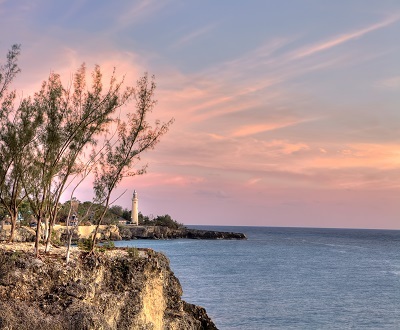 Negril is Jamaica’s beloved coastline that hooks along the western portion of the island, known for its gorgeous views around every hairpin turn. And with a ‘best of’ beach title under its belt (the famed Seven Mile), guests can soak up snorkeling, diving, swimming and sunbathing along one of Jamaica’s best stretches of sand. Though the region does have a handful of upscale resorts, the area has remained blissfully underdeveloped, making it an authentic Jamaican gem. The Negril Cliffs are a must-see for their spectacular and battered limestone cliffs that jut into the bright Caribbean waters. 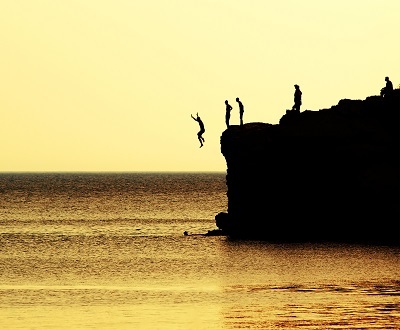 If you’re brave, try diving with other visitors or locals into the crashing waves below. The Blue Hole Mineral Spring is a cave that opens to incredibly pure mineral waters—an unsurpassed alternative to a day at the spa. 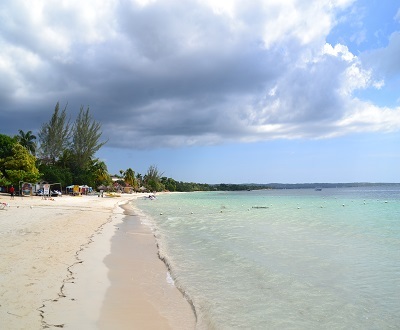 Negril has a number of beautiful beaches, including the well-known Seven Mile Beach with beautiful and bright waters and colorful orange and pink sunsets every night.